Last month I went to Stamford Bridge hoping to catch a glimpse of the future. The home of Premier League champions was quiet, save for a few tourists taking selfies with the player portraits that hang along the wall of the old Shed End. I was there to see Chelsea announce a partnership with Ericsson that promised a new "connected stadium" – a phrase that had me imagining fans in HoloLens-style glasses with replays and real-time stats from the players' wearables projected onto the pitch in 3D. In reality, Ericsson's senior vice president Arun Bansal announced they were putting in Wi-Fi, and I got to meet 44-year-old former striker Tore Andre Flo, who scored 34 goals for Chelsea 17 years ago. It didn't feel much like the future. Surely the so-called "connected stadium" offered more than just a way to check Twitter at half-time? Where was the wearable tech? The VR replays? Even a QR code to order a pie direct to your seat wouldn't go amiss. When questioned on the part AR might have to play, Bansal said: "It's not part of our current partnership but I believe with 5G we will see augmented reality and virtual reality as a very big part of sport going forward." Given that Ericsson's deal with Chelsea only lasts for two years, you have to wonder how far ahead Bansal is thinking, but his reference to 5G is important – although it's in player tracking that we'll probably see it put to good use first, not new pie delivery initiatives. On the eve of a new Premier League season it's expected that Swansea City will again be the only team to regularly take to the field using wearable tech, despite its use being legal in competitive games since Leicester City's title-winning season of 2015/16. The Swans combine the tracking devices sewn into their shirts with an optical system called TRACAB, which is installed at all 20 Premier League grounds. Neither seemed to be of much use to the club last season as they narrowly avoided relegation to the Championship, but improvements in stadium connectivity brought about by 5G might just convince clubs like Chelsea to make more use of them on match days. Istvan Godor, a senior researcher at Ericsson, predicts a "revolutionary change" in the way clubs track their players thanks to 5G, which is expected to reach the UK by 2020, but it starts with the devices themselves. Those currently worn by Swansea's players include the same kinds of sensors you'd find in a phone or a sports watch: GPS, gyroscopes and accelerometers. But Godor sees localisation sensors that work on a 10cm range of accuracy replacing the GPS-based devices that are used today. "The latest motion analysis circuits are the size of a microSD card," he told us. "The coin battery supplying the power is the largest component, and even the most complex sensors are only about the size of a matchbox. 5G will play an important role in providing a common platform that will be able to collect the various sensory data [from them]." But clubs aren't currently allowed to access data from wearables until after the final whistle. With the introduction of 5G, however, live data from wearable sensors could be crucial in injury prevention – and denying coaches and physios that information would not only be unfair on the clubs, but more importantly the players who work so hard to stay fit. Data from wearables might be banned from the technical area but there's nothing to say it couldn't be sent to broadcasters. Whether the teams would consent to it is another matter entirely, but it seems unlikely they'd be willing to give up any competitive advantage the information is perceived to offer. When you think about it, though, it's not that far removed from the Opta feeds that Sky, BT and the like use to bolster their punditry, although clearly a balance would need to be struck between informing viewers how far a player has run – whatever that actually tells you – and giving away your team's secrets. Chances are anything that really tells you anything of any value would be kept tightly under wraps. Even at grounds without Wi-Fi, attendances show that football is as popular as ever. But with Sky's viewing figures falling for the first time last year, what exactly does the future hold for match day at home on your sofa? Football, particularly the Premier League, is an increasingly globalised game. You're almost as likely to meet a Man Utd fan in Manila or Minneapolis as you are in M16. The club's website is available in seven different languages. Based on social media followers alone it has over 105 million fans worldwide. But only 75,000 of them will fit into Old Trafford at the same time and you don't need a PhD in physics to work out that those numbers don't go. That leaves a lot of fans on the outside – and if regular TV isn't doing it for them anymore, what will? Back in June, BT Sport showed the UEFA Champions League Final between Real Madrid and Juventus in VR. You didn't need to be a subscriber to watch it, so around 300,000 people viewed via a special VR app, with BT-branded Google Cardboard headsets also given away in the run-up to the game. Watching a full 90 mins with your head stuck inside a cardboard mask might've seemed like a stretch to BT Sport's chief operating officer Jamie Hindhaugh but he was proved wrong: "The response on social media was far more positive than I would've ever expected," he told Wareable. "But I think that's because you could – and people did – watch the whole game in VR." Filmed using Nokia's OZO 360° cameras, the app offered a choice of eight viewpoints within Cardiff's Millennium Stadium, or a fully directed 12-camera live feed complete with VR graphics, replays and separate commentary. "It enabled us to showcase the value of VR without taking you away from the editorial story," explains Hindhaugh. "If you wanted to get really immersed you could choose the camera between the manager and the bench, so when a goal went in you could see how they reacted. When subs were being made, you couldn't hear but you could see how they were communicating with each other, and that's when you start getting that real immersive feel that you can't get just from HD, 3D or 4K." Check the reviews left for the app on Google's Play store and it's certainly not all positive, with almost as many one-star reviews as five-star ones. Most people blame poor picture quality for their low scores (and a few geniuses complained that it didn't work for the Europa League Final, which wasn't filmed in VR), but that hasn't dampened BT Sport's enthusiasm for virtual reality football coverage. Well, they did have to build a special outside broadcast truck that could cope with 360° cameras, it'd be a shame to waste it. During the upcoming season, virtual reality will come to BT Sport's Premier League coverage for the first time. Although Hindhaugh wouldn't reveal exactly how many of its 42 live games would get VR, we know they won't all get the full Champions League treatment. "When we launch this season some games will just be highlights and others will be curated feeds – it'll depend on the match," he told us. "The focus for me is about highlighting key pieces of action that you can view in a different way to what the normal broadcast feed would allow." Hindhaugh didn't explain exactly how it'd work, but with the first whistle of the new season almost between the ref's lips, Hindhaugh's suggestion that the regular TV broadcast would prompt you to load up the app on your phone when VR highlights of significant moments were available seems the most likely. Clearly there are still improvements to be made, with resolution being the most important, but phones with 4K screens are already starting to appear and will soon become the norm. Hindhaugh thinks that zoomable cameras would be useful too, but he called the Champions League coverage "a massive step forward" for sports broadcasting in VR. "There were many lessons learned, but the the most important thing for me was that audiences do want things curated." So what does the future hold for VR? Sky's offering is some way behind BT's, with no regular coverage announced yet and nobody from Sky available to outline its plans for the season to Wareable. 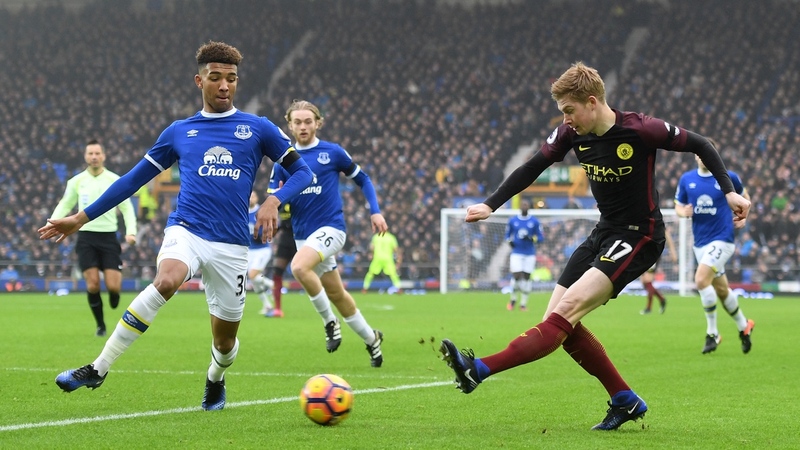 Its Sky VR app, launched last October for Android, iPhone and Oculus, and now available on Google's Daydream headsets, has various showcases and featurettes, including highlights of Chelsea's title-winning season (complete with John Terry's embarrassing 26th-minute exit in their final home game) and Everton's dismantling of Man City at Goodison Park, but no live coverage has been attempted yet. BT also beat Sky to the ball when it came to broadcasting in 4K but a year later and Sky's Ultra HD offering outstrips its rivals, purely because it has more games to show. After being burned by 3D perhaps Sky will wait until the resolution of VR is more in line with its HD channels before going big on it. So how close can VR come to recreating the experience of going to a match? To answer that you have to look at why people go to games beyond being able to watch their team play. VR will never sell you a substandard pie filled with mystery meat for a fiver, nor will it let you question the opposition full-back's parentage from behind a wall of stewards. But with better image quality and some kind of social element that allows you to watch while you chat to your friends, it could come pretty close to mimicking the main reasons we go to games. Throw in a fridge full of beers and in some ways it'll even better it, although you might need a system in place to make sure you don't miss your mouth. "I can see a stage when you've got a virtual stadium and a virtual season ticket, and you go with your virtual mates every week, sit in a similar place and watch a game," says Hindhaugh. "I think as long as you can offer that social interaction, innovative coverage has opportunities. As soon as it becomes an isolated one-on-one with the picture then you're limiting the appeal." Given BT's experiments with broadcasting full games, and the existence of VR chatrooms such as AltspaceVR, vTime and Facebook's Spaces, that should be possible sooner rather than later, even if it means everyone just watching the same feed and being able to talk to each other in real time. Stamford Bridge's new Wi-Fi network might not have constituted the futuristic stadium that I was hoping for – but it's certainly a step in the right direction.